At AA Singapore’s annual lo-hei dinner, AA President Mr Bernard Tay recounted the major milestones of the past year to AA Members. 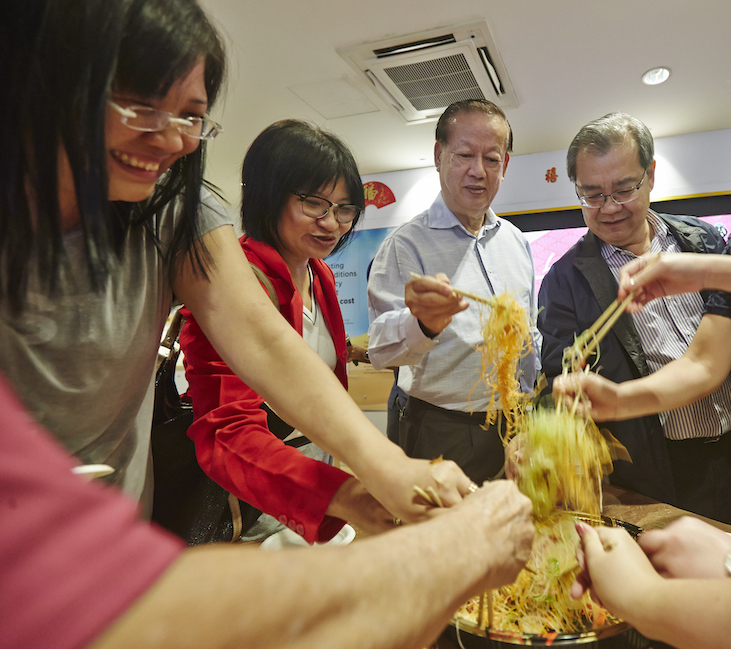 The annual lo-hei dinner to usher in the Lunar New Year is definitely one of the high points for AA Members. 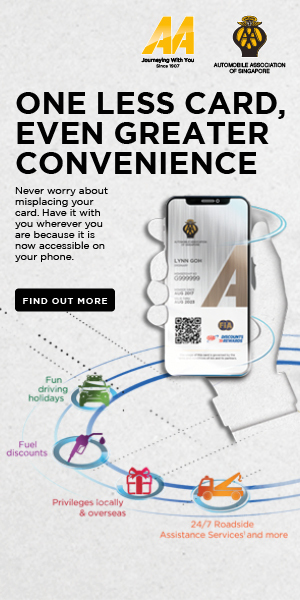 Not only do they get to enjoy a sumptuous meal, they are kept abreast of what AA Singapore has been up to in the past year. This year was no different, as members turned up at AA@GB Point on the evening of 13 February 2019. Before commencing the dinner, AA President Mr Bernard Tay, who is also Chairman of the Singapore Road Safety Council (SRSC), shared numerous key events in 2018 that readers of Highway would be familiar with. Many events were focused on driving safety. In response to the spate of overseas accidents affecting Singaporeans at the end of 2017, AA Singapore organised the Overseas Safe Driving Forum in March 2018. Mr Tay highlighted that the aim of the forum was to prepare the public for driving overseas, minimising their risk of potential accidents. 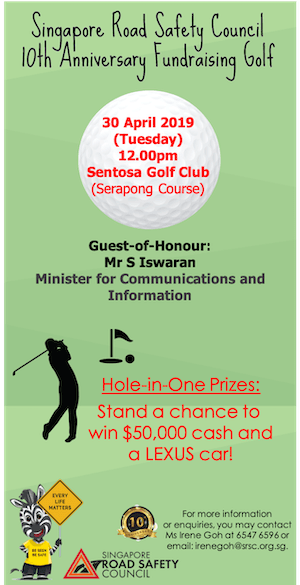 Mr Tay then reported on AA Singapore’s participation in Singapore Road Safety Month and Teck Ghee Road Safety Carnival. The latter, which took place in August 2018, had Prime Minister Lee Hsien Loong as the Guest of Honour. September, the season for Singapore’s Formula 1 Grand Prix, saw AA Singapore getting into the spirit of things by supporting the #3500LIVES global road safety campaign, spearheaded by the FIA, at the F1 Village. October saw the launch of AA Singapore’s Be A Road Safe Kid children storybook during the SRSC’s gala dinner. Turning his attention to the future, Mr Tay dropped hints of what AA Members can look forward to. One of these is an 85-day London-to-Singapore expedition, which will start in August 2019. 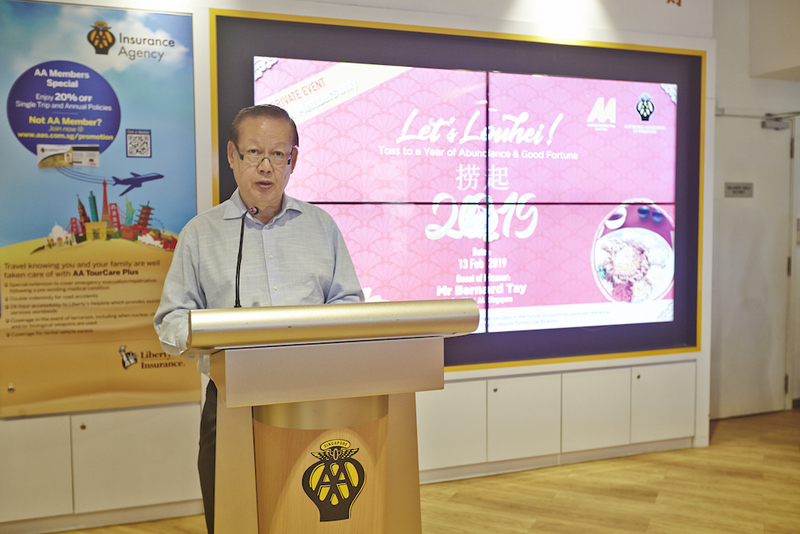 “This is the first time AA Singapore is leading such a trip, and we’re certain it will create many eventful stories for you to share,” Mr Tay quips. Probably the biggest piece of news to note is AA Singapore’s impending move to the new AA Centre at 2 Kung Chong Road. “I’m pleased to inform that redevelopment works are going well and we are targeting to relocate by the second half of this year,” Mr Tay revealed.